Make a stylish statement with this tailored unlined jacket. It features meticulous detailing with topstitching and inset pockets. 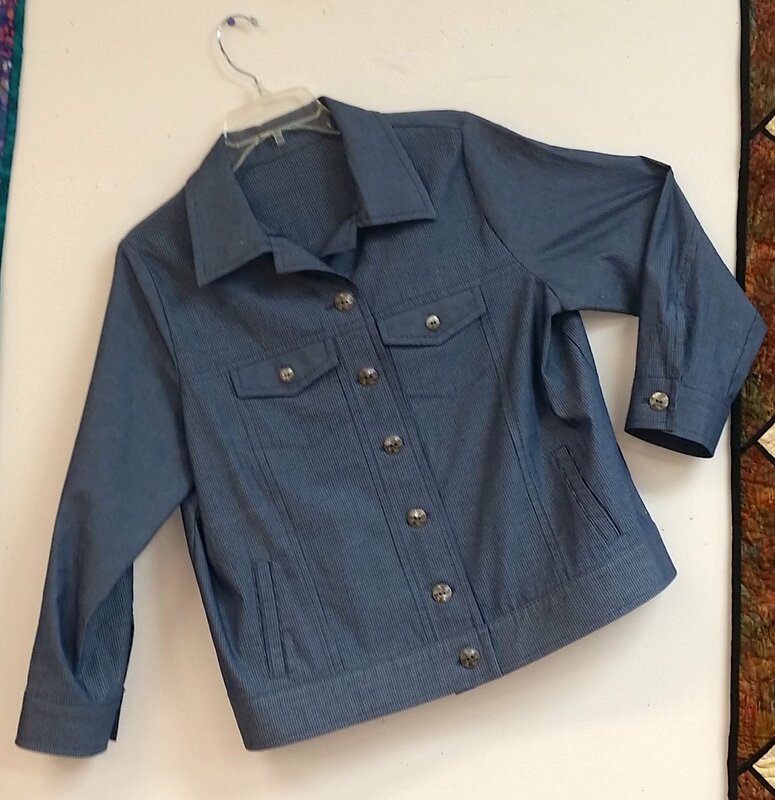 Make one from denim for a classic look or use the fabric of your choice for a one of a kind creation. Don’t let the details intimidate you, this jacket goes together nicely and you can choose the details you want.